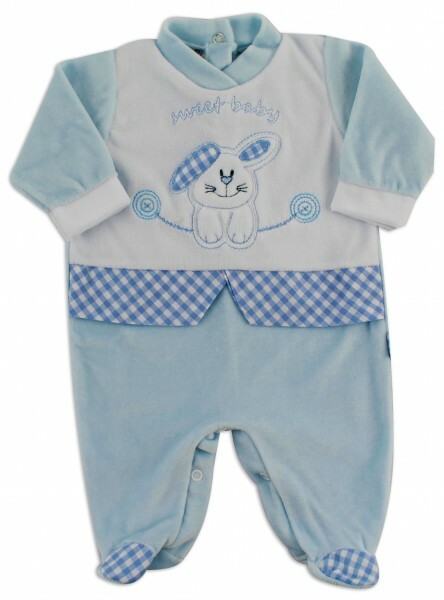 On the front you apply a sweet bunny, checkered fabric waist inserts, the inscription Sweet baby is embroidered. Sizes 6-9 months. Opening in the back and to the horse with little buttons with pressure.